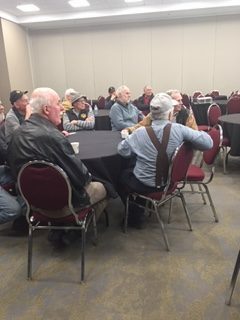 Over 75 people attended the Hospitality Room in Hall B. 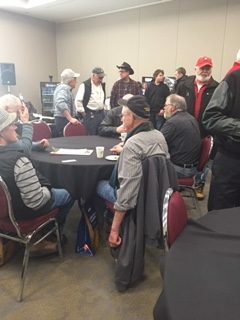 The Alumni appreciate the kindness shown to them by the Ottawa Farm Show. This year saw grads from ‘53, ‘54, ‘59, ‘64, ‘65, ‘66, ‘67, ‘68, ‘69, ‘70, ‘71, ‘73, ‘74, ‘75, ‘76, ‘77, ‘79, ‘80, ‘81, ‘83, ‘84, ‘85, ‘89, ‘04, ‘08, and ’15. 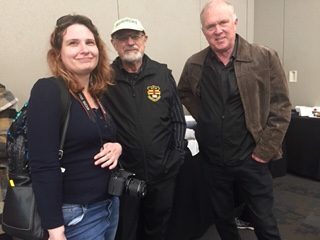 Previous staff members were also there. 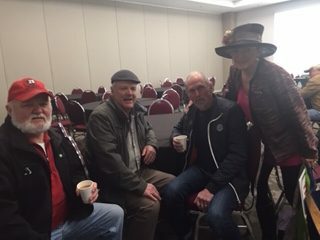 Next year drop by for coffee, chatting and cookies and you may see a long lost classmate. Mark your calendar for March 18th, 2020. 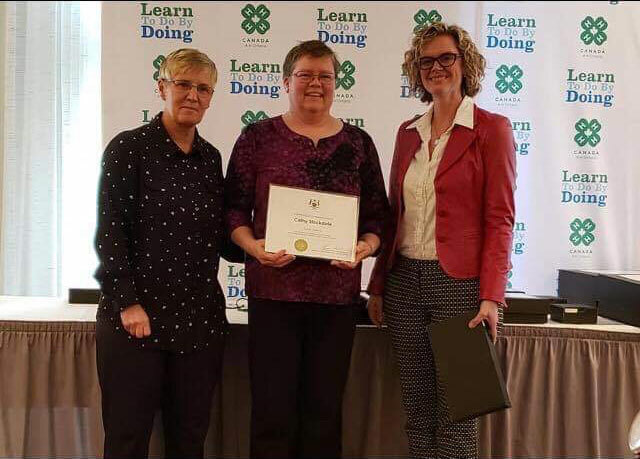 Cathy Stockdale ’91 ( in middle ) was recognized for her 25 year service as a 4-H volunteer. Congratulations for your community work. Ed Cooper graduated from Kemptville in 2013. He is farming with his dad as a fifth generation farmer. Ed is a third generation Kemptville grad. He bought his first Jersey in 2012 and his prefix is Walnut Lane. They milk Holsteins and Jerseys and the open house celebration was held to celebrate his dad’s first homebred excellent Bonhaven Holstein. Ed is President of the St.Lawrence Jersey Club which generously donated to the Alumni Historical Building. Spring is just around the corner ! Terri Reid ‘70 grad ( on the left ) and her friend Kim were looking for fun things to do in Martintown. 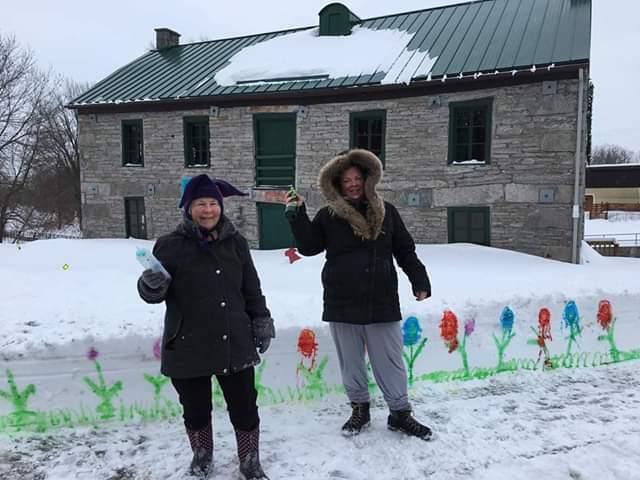 They mixed up food colouring and water and painted flowers in the snow in front of the Martintown Historic Mill. Let’s hope their paintings bring spring a little more quickly. 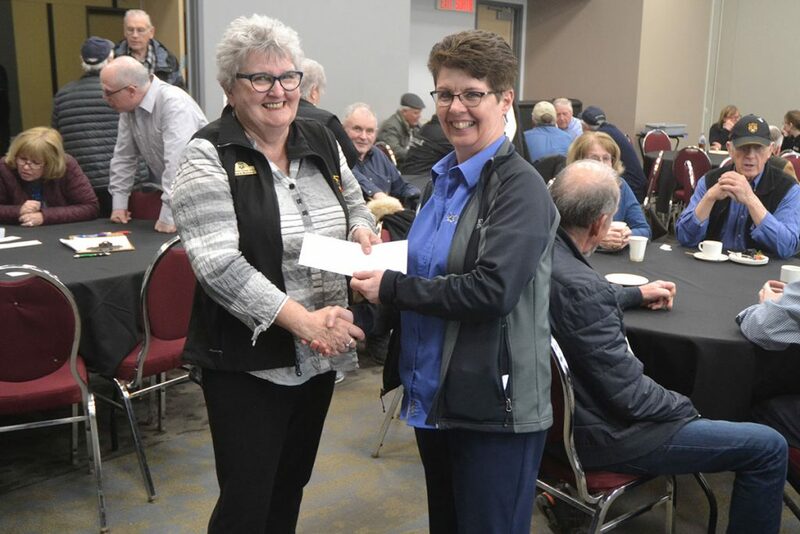 The Kemptville College Alumni Association is pleased to announce the two recipients of the 2019 Scholarships. 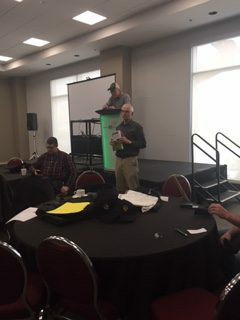 The recipient of the Agricultural Scholarship is Ashley DeJong from Baltimore ON. Ashley is in her second year of the Agricultural Diploma Program at the University of Guelph’s Ridgetown Campus. The recipient of the Food related Scholarship is Marie- Josee Levac from St- Bernardin, ON. 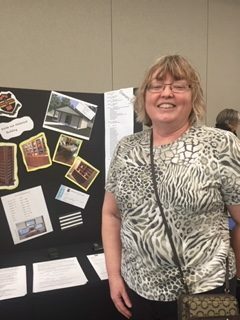 Marie-Josee is in her second year of the diploma course in Hospitality – Hotel and Resort Management at Fanshawe College in London, ON. The selection team was very impressed with the number and quality of the applicants and congratulate Ashley and Marie-Josee. 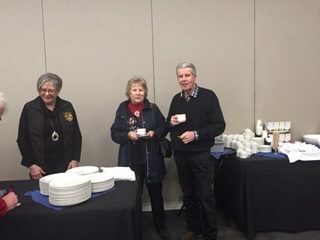 Students entering their second year in a Food or Agriculture related program at an accredited college in September 2019 are encouraged to check out the Kemptville College Alumni web site at www.KCalumni.ca later in the year for the new 2020 scholarship form. 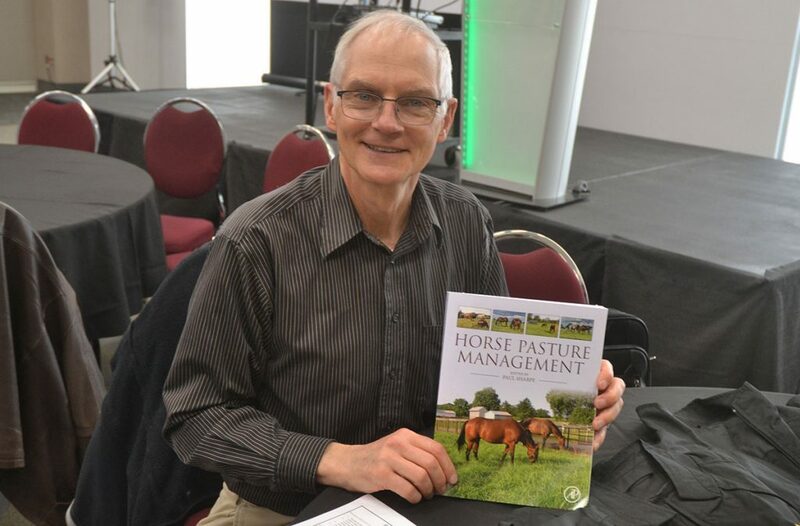 Tim and Diane Groniger , daughter Olivia, and their son Scott and his wife Kristin are one of the newest recipients of the Master Breeder Shield. Scott graduated from Kemptville College in 2009 and returned home to farm with his parents at Weeberlac Holsteins in Carlsbad Springs. Tim credited his son for the final push to the shield. “ I started the base, he finished her,” said Tim. 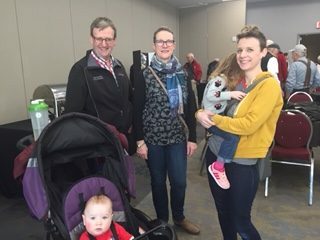 Congratulations to the Groniger family who will receive their shield at the Holstein Convention , Charlottetown PEI, in April. We have started the building and the foundation is complete. The builders that were doing construction have asked if they could go to Dunrobin to help out. The Alumni feels that it is important that as many homes as possible be stabilized in Dunrobin. We will welcome them back when Dunrobin’s work is complete. The new building is currently being built at the Lombardy Fairgrounds. The motion to approve the building was voted on and approved at both the 2017 Reunion Annual General Meeting and at the Alumni Board Meeting on September 26th, 2017. Donations are now being received; information on donating can be found to the left of this page. Your name will be listed on this page and on the donor wall upon the completion of the building. Charitable receipts will be issued for donations. As noted above, the location of the building is on the Lombardy Fairgrounds in Lombardy, ON, the Lombardy Agricultural Society has graciously donated the land on which to erect the building. The fairgrounds are also the current location for our Annual Alumni Reunion. Picture and specs: A footprint of 24’x40′ with 10′ ceilings. Propane heating, LED lighting, no windows for more wall space. The Kemptville College Alumni has turned the sod for the Kemptville College Alumni Historical Building. 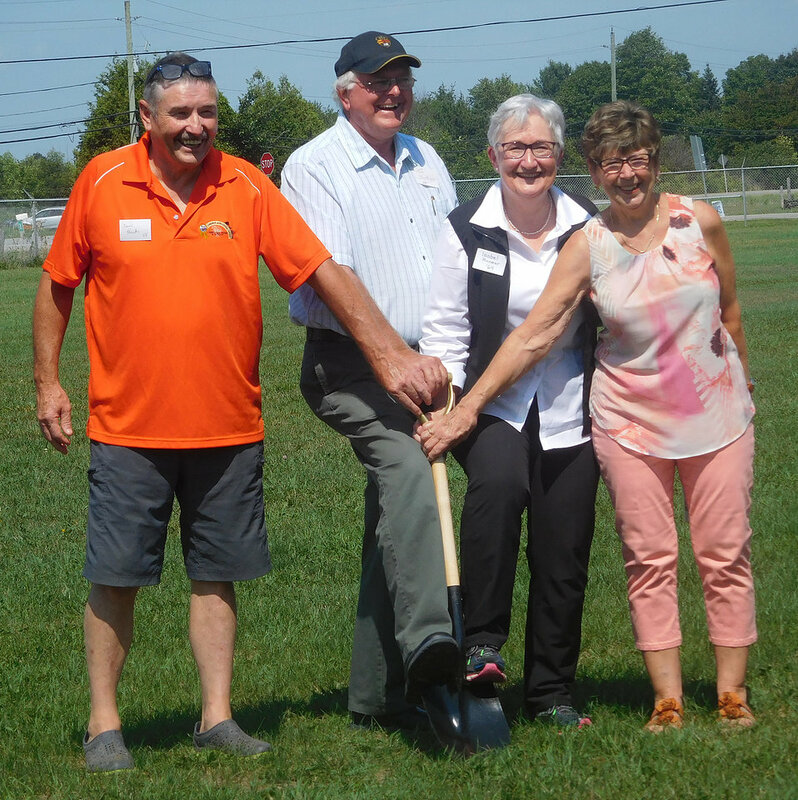 The sod turning took place Saturday, August 25th, at the Lombardy Agricultural Fair Grounds near Smiths Falls.Our yearly alumni reunion is held at the same location. Over 70 people attended the Sod Turning and then 175 attended the reunion banquet that evening. Fund raising started after the building was approved last August and donations to the building fund are greatly appreciated. Financial contributors will receive a charitable receipt and names will be displayed in the new building and on our web page www.kcalumni.ca. As an alumnus, business or organization supported by Kemptville grads, we hope that you will support our building by sending your cheque to; Kim Link, Treasurer, 12261 Link Road, Winchester ON K0C 2K0. Memorabilia that you have from your time at Kemptville can also be displayed in the building. Contact our President: Audrey Baker, a.bakercl@hotmail.com . The official opening of the Kemptville College Alumni Historical Building will take place at our 2019 Reunion on Saturday, August 24th, 2019 at the Lombardy Agricultural Society Fairgrounds. The Kemptville College Alumni appreciates your ongoing support. The Kemptville College Alumni and North Grenville are disputing the ownership of many items from the College’s history. All class pictures are on the list. 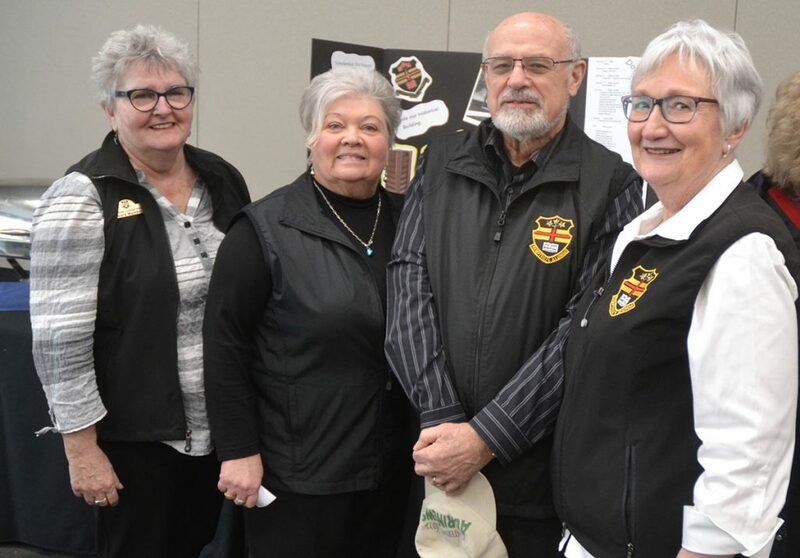 As board members of the Alumni of Kemptville College, we are asking our members to support and sign this petition and to include the year you graduated. The petition gives permission for your picture which is part of a class picture to be displayed at our historical building and not with North Grenville. The historical building is being built at the Lombardy Agricultural Fair Grounds. Please click here to access the petition and sign. Year ‘57 sends a Challenge to all graduating years. They would like other years to meet or beat the money they have raised for the Alumni Historical Building. As of May 9th, 2018 they have raised $4500. Their numbers are small but they are mighty. Year ’63 is inching closer, having raised $4000. We have been informed that for some years, the Royal Presidents were presented with canes. Their name and year was engraved on the cane and given to them to thank them for the work accomplished at College Royal week end. Pictured below is Dwight Karren (left) presenting the Royal President’s cane to Tom Fahey, President of the ‘72 Royal. The next picture shows the cane which is engraved with the name and date. If you have a cane and would like to donate it to the new Alumni Historical Building, we will display it with your name and info. Proudly powered by WordPress	| Theme: kcalumni by Underscores.me.